ΠΡΟΓΡΑΜΜΑ WOD ΓΙΑ ΣΗΜΕΡΑ 27. 07. 2018!!! ΠΡΟΓΡΑΜΜΑ WOD ΓΙΑ ΣΗΜΕΡΑ 26. 07. 2018!!! ΠΡΟΓΡΑΜΜΑ WOD ΓΙΑ ΣΗΜΕΡΑ 25. 07. 2018!!! ΠΡΟΓΡΑΜΜΑ WOD ΓΙΑ ΣΗΜΕΡΑ 24. 07. 2018!!! 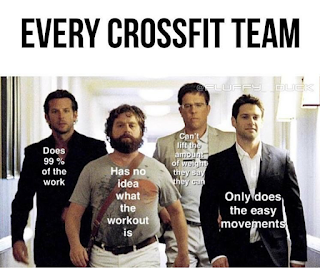 3 Muscle ups6 T2b40 double unders9 power snatch12 OHS40 double unders15 power clean18 jerk40 double unders21 HSPU24 kcal row40 double unders27 wall ball30 grasshoppers40 double unders. 50 Swings40 goblet squat30 kb SDHP20 burpees10 one arm kb thrusters. ΠΡΟΓΡΑΜΜΑ WOD ΓΙΑ ΣΗΜΕΡΑ 23. 07. 2018!!! ΠΡΟΓΡΑΜΜΑ WOD ΓΙΑ ΣΗΜΕΡΑ 20. 07. 2018!!! ΠΡΟΓΡΑΜΜΑ WOD ΓΙΑ ΣΗΜΕΡΑ 19. 07. 2018!!! ΠΡΟΓΡΑΜΜΑ WOD ΓΙΑ ΣΗΜΕΡΑ 18. 07. 2018!!! ΠΡΟΓΡΑΜΜΑ WOD ΓΙΑ ΣΗΜΕΡΑ 17. 07. 2018!!! ΠΡΟΓΡΑΜΜΑ WOD ΓΙΑ ΣΗΜΕΡΑ 16. 07. 2018!!! ΠΡΟΓΡΑΜΜΑ WOD ΓΙΑ ΣΗΜΕΡΑ 13. 07. 2018!!! ΠΡΟΓΡΑΜΜΑ WOD ΓΙΑ ΣΗΜΕΡΑ 12. 07. 2018!!! ΠΡΟΓΡΑΜΜΑ WOD ΓΙΑ ΣΗΜΕΡΑ 11. 07. 2018!!! ΠΡΟΓΡΑΜΜΑ WOD ΓΙΑ ΣΗΜΕΡΑ 10. 07. 2018!!! 100m farmer's walk,80 wall ball,60 t2b,40 double kb box steps over,20m double kb oh lunges,40 db,60 sit ups,80 mountain climbers,100m farmer's walk. INTRO WODFOR TIME: 10,9,8....3, 2, 1, 2, 3.....8,9,10. Ring row,HR push ups,Box jumps,Air squat. ΠΡΟΓΡΑΜΜΑ WOD ΓΙΑ ΣΗΜΕΡΑ 09. 07. 2018!!! -Sit ups -Leg raises -Back ext. ΠΡΟΓΡΑΜΜΑ WOD ΓΙΑ ΣΗΜΕΡΑ 06. 07. 2018!!! ΠΡΟΓΡΑΜΜΑ WOD ΓΙΑ ΣΗΜΕΡΑ 05. 07. 2018!!! ΠΡΟΓΡΑΜΜΑ WOD ΓΙΑ ΣΗΜΕΡΑ 04. 07. 2018!!! ΠΡΟΓΡΑΜΜΑ WOD ΓΙΑ ΣΗΜΕΡΑ 03. 07. 2018!!! 4RFT: 10 HR push ups, 50 jump ropes.